At the recent winter wine festival at Sunpeaks, I led a tasting of iconic wines from British Columbia. I was fortunate to include a Pinot Noir from Privato Vineyard & Winery. There were two reasons for adding Privato to the lineup. Firstly, it is one of the four wineries in Kamloops, the community down the road from Sunpeaks. Secondly, it is being recognized as one of the more distinguished Pinot Noir producers in BC. The display bottle at my tasting was weighed down with at least three medals. It was obvious, when we tasted the wine, why it was doing so well in competition. For some background, here is an excerpt from my 2017 book, Icon: Flagship Wines from British Columbia’s Best Wineries. By launching their Privato winery in Kamloops, where they lived, John and Debbie Woodward gave themselves some daunting challenges. The first was planting Pinot Noir and Chardonnay. Their vineyard on the bank of the North Thompson River, a 30-minute drive north of downtown Kamloops, is one of the most northerly vineyards in British Columbia. “Debbie has always wanted a vineyard,” says John, who was born in Kamloops in 1954. He is a professional forester, while Debbie is a certified general accountant. Since 1987, they have grown trees for Christmas and for landscaping on their 32-hectare (80-acre) farm. Several years ago, they took time off from this bucolic life to tour in Italy during harvest. Seeing tiny wineries harvesting and processing grapes inspired them. “It was just the fuel we needed to get going,” Debbie says. There was nothing holding them back: they had land and their elegant farm buildings were easily turned into a winery and tasting room. In 2010, they planted 1.2 hectares (3 acres) of vines—Pinot Noir, Chardonnay, and one row of Maréchal Foch. Since John had limited winemaking experience, he retained a consultant, Gustav Allander of Foxtrot Vineyards. Gustav coached him in making a trial lot of Pinot Noir in 2010 and enough in 2011 for commercial release. In 2013, when Gustav stopped consulting, the Woodwards turned to New Zealand–trained Jacqueline Kemp for guidance on sourcing Okanagan grapes and making wine. She is the winemaker at Moraine Vineyards. The challenge for collectors of Privato’s Pinot Noirs is the winery’s penchant for identifying small-lot wines with different labels. Tesoro and Fedele are Pinot Noirs from different vineyards. From 2013 forward, these wines succeed the Woodward Collection Pinot Noir. The Grande Réserve Pinot Noir will be released only in exceptional vintages. None was made in 2013, but a 2014 is likely to be released. Pinot Noirs released under the Privato Collection label might be considered the “regular” Pinot Noirs. While Jacqueline Kemp remains on retainer, the training wheels have come off and John handles most of the winemaking. Most of Privato’s fruit is sourced from premium Okanagan vineyards. The Privato vineyards is relatively small and, on occasion, the vines and buds are dealt periodic setbacks by the cold winters in the Thompson Valley. The Grande Réserve Pinot Noir, which likely will be released this spring, is made with grapes from the Devonshire Vineyard on Naramata Bench, where the vines were 28 years old in 2014. I am not sure how the Woodwards managed to lock up such splendid fruit; but it is exactly what one needs for making complex and rich Pinot Noir. Here are my notes on the wine. Privato Grande Réserve Pinot Noir 2014 ($54.99). The back label discloses that the grapes were crushed by foot, probably still the gentlest way of crushing Pinot Noir. The wine was aged 18 months in French oak and about two years in bottle before release. In the glass, the wine opens with aromas of spice, raspberry and cherry. Rich and concentrated in texture, it delivers flavours of strawberry and cherry with a touch of mocha and vanilla on the silky finish. This is a wine of considerable elegance. 93. The announcement that Alberta is suspending its ban on BC wine after just three weeks is great news. The ban was announced on February 6. The BC Wine Institute estimated this week that, in the ban’s first month, lost sales will be $4 million. That will ramp quickly since BC wine sales to Alberta in 2017 totaled $70 million. Earlier this week, the BCWI said it will challenge the constitutionality of that ban in court. “We believe it is unconstitutional to prohibit the import of Canadian goods into another province based solely on where they come from,” said Miles Prodan, the president of the BCWI. Presumably, legal action will now be suspended, at least for the time being. Premier Rachel Notley called off her ban when BC Premier John Horgan announced a slightly more conciliatory stand on his government's determination to thwart the Kinder Morgan pipeline expansion. He has agreed to let the courts decide whether his has the jurisdiction to frustrate a federally-approved pipeline project. The wineries should not assume it will be business as usual in Alberta. Supply chains and relationships have been muddied, even if the ban is not imposed again. Meanwhile, the British Columbia government is moving to add another irritant in the relationship with Alberta. This week’s provincial budget proposed to extend the empty homes tax to include vacation properties in such places as the Okanagan (Kelowna and West Kelowna) and parts of Vancouver Island. The government is trying to force owners to add properties to the rental pool when they are not owner-occupied. That is a good idea when it applies to speculative properties left empty in urban areas where there is an urgent need for long-term rental properties. However, many vacation properties are not located in urban areas and often are not designed for year-round occupancy. Hundreds of vacation properties in BC are owned by Albertans. They now may consider selling them; they certainly will not buy more. And they will side with their own government in the BC wine ban. Albertan vacationers and tourists had become major buyers of wine from BC wineries when they are vacationing here, whether for a week or for the season. “According to a wine industry study, one million tourists visited BC wineries in 2015, generating $452 million in direct and indirect revenue for the broader BC economy,” the BCWI says. “In the past two years, 23 percent of Alberta residents have experienced a wine tour in British Columbia, and 15% of those residents have identified wine as the primary motivation for their trip. “In the past four years, 46% of Albertans attended a British Columbia wine tour,” BCWI added (emphasis added). I would like to see figures on how many of those Albertans stock BC wine in their vacation properties. The empty homes tax on vacation properties, well-intentioned that it may be, looks to me like bad news for BC wine sales. A little back of the envelop math about Michael Bartier’s career surprised me: he is going into his 23rd year as an Okanagan winemaker. As the cliché goes, how time flies. I met Michael early in his career when he was the assistant winemaker at Hawthorne Mountain Vineyards. One of the grapes still being grown at the time was Chelois, one of the French red hybrids. Most of the hybrids were pulled out in 1988 but Hawthorne Mountain still had some. I made an appointment to interview the winemaker, only to discover when I arrived 10 days later that he had been fired a day or two earlier. The winery produced Michael Bartier to take the interview. Hawthorne Mountain (originally known as LeComte Estate Winery) had been making Chelois wines at least since 1986. That vintage had earned a gold medal and the chairman’s grand prize at the 1989 Pacific National winemaking competition. From Hawthorne Mountain, Michael went on to carve out a solid career with several wineries including Township 7, Road 13 and Okanagan Crush Pad. In 2009, he and his older brother, Don, launched their own Bartier Brothers label. The winery and the tasting room were established in 2015 on the Cerqueira Vineyard just off Black Sage Road south of Oliver. This was a producing 14.5-acre vineyard when the Bartier brothers bought it. It grows Sémillon, Chardonnay, Merlot, Cabernet Franc and Syrah. There is no Chelois – but neither is Michael not making entry-level wines any more. The vineyard is crucial to the serious terroir-driven wines he makes now. “We want people to see and taste first hand that wine pedigree comes from farming in rocks – in our case the rocks of the Black Sage Gravel Bar,” Michael said when announcing the new wine shop. Late last year, I sat down with Michael to taste the current releases from Bartier Brothers. Here are notes on the wines. Bartier Brothers Sémillon 2016 Cerqueira Vineyard ($17.29 for 648 cases). The many fans of this white will welcome the arrival of the 2016 vintage, with a production of 648 cases. That compares with a mere 72 cases of the 2015 Sémillon after a sharp, bud-killing frost in November 2014 severely limited the crop. Michael joked that he could compensate for the loss by selling the 2015 Sémillon for $180 a bottle. The wine, in fact, was sold to the Bartier wine club at the regular price. The 2016 Sémillon begins with aromas of lemon and fresh straw, leading to flavours of lemon, grass and what the winery describes as sesame seed. The wine is crisp and dry. It is delicious now but an extra year in the bottle will reward those who are patient. 90. The wine has aromas and flavours of lemon, with a hint of classic petrol. Dry, with bright acidity, this crisp and focussed wine will age for years – if you can keep your fingers away from it. 91. Bartier Brothers Chardonnay 2016 Cerqueira Vineyard ($23.49 for 850 cases). Michael began making his name with Chardonnay as far back as his time at Hawthorne Mountain. One of the award-winning Chardonnays he made there had more than 15% alcohol although the label said 14.7%. “Sometimes when we need to reduce alcohol, we let the printer do it,” he quipped at the time. Today, he has a different take on alcohol levels. “I don’t like high alcohol,” he says now. “The lower the alcohol, the better.” This Chardonnay, a third of which was fermented in older barrels, has 13% alcohol and lots of elegance. It begins with citrus aromas that lead to flavours of citrus and apples. The mid-palate is creamy due to aging on the yeast lees for six months, but the finish is crisp. 90. Bartier Brothers Cabernet Franc 2015 Cerqueira Vineyard ($25.99 for 498 cases). “I like this grape,” Michael says. “It is very well behaved in the vineyard. I think it is well-suited to the glacial till that we are farming in and I think it is well-suited to our summer temperatures. Cabernet Franc seems to thrive on the hot temperatures where other varieties, like Cabernet Sauvignon, will shut down.” The Cabernet Franc block is now 10 years old. This is a big, ripe red, with a smoky note on the nose mingled with black cherry. On the palate, there are flavours of blackberry, chocolate and cedar. The smoky notes are attributed to the smoke from forest fires that hung over the Okanagan late in the vintage. Michael decided not to remove the smoke because it definitely adds an interesting character to the wine. “It is a legitimate expression of the vintage,” he maintains. 91. Bartier Brothers Merlot 2015 Cerqueira Vineyard ($23.49 for 457 cases). This is a ripe and concentrated wine. A slight hint of smoke mingles with cassis and black cherry aromas. 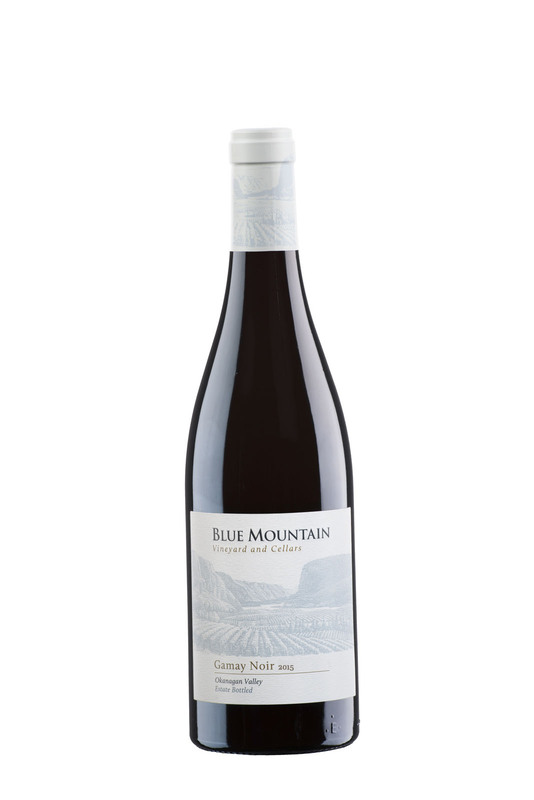 On the palate, the wine has flavours of ripe blueberry and black cherry, with a lingering finish. 91. Bartier Brothers Syrah 2015 Cerqueira Vineyard ($30.34 for 181 cases). The winery’s notes explain: “The grapes destemmed and lightly crushed and directly crushed into French barrels which had their ends removed. After filling, the barrel heads were replaced and maceration took place over 36 days with the barrels being rolled two rotations, twice a day.” The must was then pressed and the wine went into neutral French oak barrels for 14 months. Bartier Brothers The Goal 2014 ($25.99 but sold out). This is a blend of 75% Cabernet Franc and 25% Merlot. The flagship red blend at Bartier Brothers, this begins with appealing aromas of cassis and dark red fruit, which is echoed on the concentrated palate. 92. Here is a new varietal label to look for in the Okanagan in about three years: Arvine, a Swiss white grape that was planted last year by Arrowleaf Cellars. The winery’s owners are Joe and Margrit Zuppiger and their winemaker son, Manuel. The Zuppigers came to Canada from Switzerland in 1986. Eleven years later, they bought a vineyard in Lake Country where they opened their winery in 2003, to considerable acclaim. The Zuppigers spotted Arvine (eight) in the catalogue of a Niagara grape nursery called VineTech Canada and jumped on it quickly. To make room in their vineyard, they pulled out three acres of Gewürztraminer. Most of those vines were replaced with Pinot Noir, leaving enough space for just a third of an acre of Arvine. VineTech did not even have enough last spring for that much, Arrowleaf will finish planting its Arvine block this spring. The decision to pull out the Gewürztraminer has to do with the flagging popularity of that variety. “The demand for Gewürztraminer wine has really dropped off but we still have two acres under contract,” Manuel says. Given that Arrowleaf made one of best Gewürztraminers in the Okanagan, it makes you wonder whether the bottom is falling out of what once was a staple Okanagan white. The Robinson book says that Arvine is indigenous to Valais, a wine-growing region in the French-speaking part of Switzerland. Less that 400 acres grow in Switzerland. The variety buds early and ripens late but Manuel thinks it will flourish in the North Okanagan as well. For years, winemaker Daiya Anderson and her husband, Blake, entered possible winery names in their smart phones without finding one that clicked – until “Origin” occurred to them. It was obvious: their roots are in the Okanagan. Daiya, born in 1982, had grown up on Black Sage Road and then Penticton, while Blake grew up on Naramata Road. “It took us a long time to land on Origin, but I think it is fitting because of our history,” Daiya says. This tiny winery, which debuted with four wines, opened in July, 2017. It is perched on a plateau high above Naramata Road. The million-dollar view from the tasting room more than makes up for the careful drive there along a narrow gravel road. The winery fulfils a 10-year-long journey by the couple. They met when Daiya was 21 at a party to inaugurate a 10-acre vineyard that Blake’s father, Aaron Anderson, had planted on Naramata Road, at the site of what today is Moraine Vineyard. (The elder Anderson sold it more than a decade ago to pursue a career as master gardener.) When Daiya was offered a drink at the party, she asked for a glass of wine. She had acquired a taste for wine during what turned out to be a 14-year management career at Earls Restaurants, a chain noted for its wine program. However, about 10 years ago, they drew up a plan to return to the Okanagan and open a winery sooner than that. While continuing to work fulltime in Vancouver, they began developing a seven-acre vineyard in Kaleden, confident that a cluster of other wineries would also spring up in that picturesque community. When that did not happen, they resumed a search for a location where the wine touring traffic promised a more successful launch of a new winery. The couple moved back to the Okanagan from Vancouver in 2016. Blake, who now runs a visual arts studio in Kelowna, has planted three acres of vines on the Naramata Bench property. Daiya, who has a taken the University of Washington winemaking course, makes the wines and manages the tasting room. She has an adequate selection of grapes available from their two vineyards. The Kaleden vineyard grows Merlot, Pinot Noir and Gewürztraminer. The Naramata Bench vineyard, which comes into production next year, grows Syrah, Malbec and Cabernet Franc. The winery opened with 500 cases of wine. Production rose to about 800 cases in the 2017 vintage. Eventually, estate-grown grapes will support 1,500 cases. The wine shop is in a tastefully renovated building that formerly was a barn. “The fact that this building was already here was a nice bonus,” Daiya says. It also fits with the rustic landscaping, including a cactus garden, done with the help of her father-in-law. “We like to have a really natural setting,” she says. 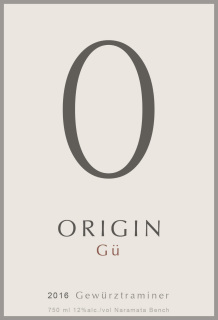 Origin Gü 2016 ($19; sold out). This is the winery’s Gewürztraminer with the name abbreviated for ease of pronunciation. The wine begins with floral, rose petal and spice aromas, leading to flavours of spice and pear. The finish is dry. 90. 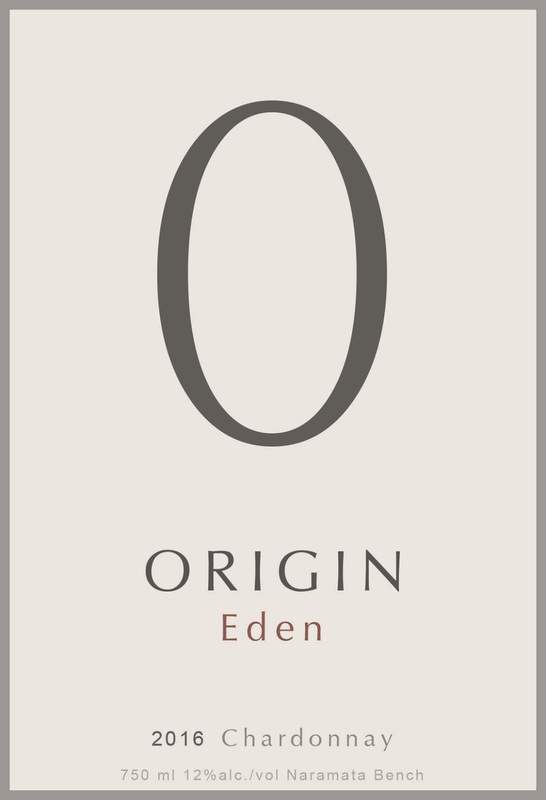 Origin Eden 2016 ($21). This is a Chardonnay, a portion of which was aged in oak for 12 months; the rest was aged in stainless steel. The aromas are restrained but the flavours are rich, with notes of marmalade, butter and vanilla. 89. Origin Mistral 2016 ($23). This is the winery’s Pinot Noir. It has aromas and flavours of cherry and raspberry. Still youthfully firm, it delivers bright fruit to the palate. 90. Origin Farm House 2016 ($24). This is a blend of 80% Merlot and 20% Cabernet Franc. The wine begins with aromas of black currant and black cherry, leading to dark fruit flavours with a touch of chocolate. Firm, ripe tannins will allow this wine to age gracefully for five to seven years. 90. Tyler Harlton’s TH Wines might become an example of the collateral damage caused by Alberta’s ban on British Columbia wines. TH Wines is an artisanal producer in Summerland making about 2,000 cases of always interesting wines. Tyler, who is a Saskatchewan native, has attracted numerous customers in Alberta and Saskatchewan since opening the winery in 2012. His wines are in a substantial number of restaurants and wine stores in Calgary, Edmonton, Banff and Canmore. Recently, the owner of an Edmonton restaurant called Clementine outlined his opposition to the wine ban in an interview with a Vancouver radio station. He singled out three BC wineries currently on his wine list: Laughing Stock Vineyards, Bella Wines and TH Wines. He hopes – who doesn’t? – that the ban will be rescinded before he needs to replenish the restaurant’s stock of wines. The ban, of course, has nothing to do with the quality of BC wines. Alberta Premier Rachel Notley picked on the BC wine industry in response to BC Premier John Horgan’s recent moves to delay, if not stop entirely, the Kinder Morgan oil pipeline expansion. I think it is outrageous for Alberta to take its frustration out on the wine industry. It is especially outrageous when small producers like TH Wines become collateral damage. "As chance would have it, I have events coming up in Calgary and likely Edmonton," Tyler told me. "We still have the support of all of our restaurant customers and the wine is being allocated to cover obligations." I tasted Tyler’s portfolio last August, in a visit to his rustic winery, which is tucked away in a Summerland industrial park. The subject of oil pipelines never came up. For some background on Tyler and his winery, here is an except from John Schreiner’s Okanagan Wine Tour Guide. When he graduated from McGill law school in 2008, he articled with a Penticton law firm to be near the Okanagan’s wine industry. In short order, Tyler decided against a career in law and became a picker and then a cellar hand at Osoyoos Larose Estate Winery. He moved to the cellar at Le Vieux Pin in 2009 and to Dirty Laundry Vineyards in 2010 while planning for himself a holistic agricultural lifestyle including a winery. He crafted a strategy allowing him to open a winery with limited capital. For a processing facility, he leases about 139 square meters (1,500 square feet) in an industrial building next to Ripley Stainless Ltd., the major supplier of tanks for the wine industry. He has handshake agreements with growers in the south Okanagan for top quality grapes. And he operates the winery under a commercial license that, unlike a land-based winery license, does not require him to be based on his own vineyard. Since that was written, he has added a compact tasting room at the winery. In fine weather, however, he might still host tastings at a picnic table in the shade or on top of a barrel in the winery. He continues to buy his grapes since he does not have a vineyard of his own. His methods for sourcing fruit can be ingenious. Most of the wines we tasted together last August are sold out but here are my notes. The releases from TH Wines this year will generally be similar varietals. TH Riesling 2015 ($27.99 for 289 cases). This is just the second Riesling that TH Wines has made. It fermented for nine months, ending up totally dry. The texture is rich. The citrus aroma has a hint of petrol. On the palate, there are flavours of pear and citrus with a spine of minerality. 89. TH Viognier 2016 ($27.99 for 391 cases). Tyler believes that Viognier is “an interesting grape for the Okanagan.” It is hard to disagree with that on tasting this wine. It begins with appealing stone fruit aromas. On the palate, there are flavours of apricot and peach, with a refreshing acidity that gives the wine a lively finish. 91. TH Rosé 2016 ($N/A). This dry rosé is made with Cabernet Franc and Merlot grapes. It begins with a rose petal hue and aromas of strawberry, leading to flavours of strawberry and plum. 90. TH Pinot Noir 2015 (Sold out). Aromas of cherry and strawberry lead to flavours of cherry and plum, with a hint of oak on the finish. The texture is silky. The wine was aged nine months in barrel (mostly neutral oak). 90. TH Cabernet Franc 2015 (Sold out). While this is sold out, a 2016 has been released at $34.99. The 2015 was excellent, beginning with brambly aromas that led to a cornucopia of red berry flavours and a spicy finish. 91. TH Malbec 2015 (Sold out). Tyler made just 200 bottles of this Malbec with organic fruit from a grower on the Golden Mile. The wine was sold just to the TH wine club. The wine is packed with red berry flavours. 90. On Wednesday, Savard Vines, an Okanagan winery that opened last year, launched a Valentine’s Day promotion for its wines, offering a discount and free shipping anywhere in Canada. Lori Savard, who owns the winery with her husband, Michael, was about hit send on the email when she learned that Alberta announced an immediate ban on wines from British Columbia. The ban retaliates against the latest intervention by the British Columbia government against the proposed Kinder Morgan pipeline expansion. The Alberta ban applies both to wholesale shipments of wine routed through Alberta’s liquor control agency, and to direct to consumer shipments. The irony of Savard Vines being caught up in this outrageous bans that Michael Savard is an Edmonton physician and Lori formerly was a nurse in that city. The couple certainly have friends supporting their winery. The winery might not even have had time to develop a following in British Columbia. The last thing this winery needs at this juncture is to be the victim of a totally unfair ban. Nor should the entire British Columbia wine industry be made victims of a dispute in which it is not involved. British Columbia vintners have been totally blind-sided by Alberta premier Rachel Notley. There are now about 325 wineries in British Columbia. I would guess that at least a third have been active in the Alberta market. The BC Wine Institute reports that the retail value of BC wine sold to Alberta is $160 million. Some wineries will be taking a big hit. Consider the various ways this will damage the industry. · The direct loss of sales to liquor retailers and restaurants. If 11% of BC wine is sold to Alberta and individual wineries lose more or less that volume, they will feel the pain. One of the first wineries to feel the impact is Harry McWatters’s Time Winery in Penticton. Time signed a contract last fall to produce wines exclusively for the Calgary Flames organization. The wines are sold at various sporting events. As much of a third of Time’s volume was directed to this channel, which the Alberta government is now closing. Many of the wine tourists each summer are from Alberta. Now they will be prevented from having wines they taste shipped back home. And will they risk filling their trunks with cases of BC wine? It would be easy, if silly, for Alberta to have road blocks, since it still is technically illegal to take more than a few bottles of wine across a provincial border. There is a Supreme Court ruling on this due in the spring which may settle the question. Given that uncertainty, will this drive a stake through cellar door sales at BC wineries? It won’t help. Trade disputes like this create a negative image for investment in BC, both in the wine industry and in the resource sectors. It might be an idea for the numerous Albertans in the BC wine industry to have a word with Premium Notley. Dennis O’Rourke, an Edmonton businessman who made a fortune building oil sands related projects, has poured a fortune into O’Rourke Family Vineyards in Lake Country and a sister winery, called The Chase. Or there is Drew MacIntyre, the Calgary-based Vice Chair of Investment Banking at TD Securities. He and his wife also own Lake Breeze Vineyards (and they have a luxury home on the vineyard). Or there are numerous Alberta shareholders at Hillside Estate Winery, Liquidity Wines and 50th Parallel Estate Winery. Former Albertans are scattered throughout the BC wine industry, including the owners of Baillie-Grohman in Creston, and Noble Ridge Vineyards and Meyer Family Vineyards at Okanagan Falls. It is no accident that Alberta is the second largest market for BC wines. The industry has plenty of Albertans; and many consumers of BC wines are Albertans with time share condos in the Okanagan or at various BC ski resorts. The ban of BC wines is triggered by the fact that the oil from the Alberta oil sands needs access to markets in addition to the United States. The producers have been frustrated, so far, in efforts to get access by way of pipelines to other markets and Premier Notley has not had much success of getting them that access. The federal government killed the Enbridge proposed pipeline to the north coast by a proposed ban on tankers off the coast. The BC government’s recent announcement of a study on oil spill response threatens to delay Kinder Morgan, even though there have been studies that satisfied the National Energy Board. The wine boycott is Premier Notley’s reaction to the BC government’s delaying tactic. I get her anger. I do not get her taking it out on the wine industry. The wineries have never taken positions on pipelines. Their business is making ever better wine. To the best of my knowledge, not a single Okanagan vintner has been beating drums or getting chained to bulldozers near the Kinder Morgan tank farm in Burnaby. Rachel Notley also is not being consistent by lashing out on only some of the jurisdictions getting in Alberta’s way. The Energy East pipeline would have taken Alberta oil to refineries in New Brunswick. That project was killed by Quebec governments. Did Premier Notley retaliate? Not so you would notice. I believe that you can still but Oka cheese and Quebec maple syrup in Alberta grocery stores. It could be very difficult to end this burgeoning trade war. If Premier John Horgan even modifies the BC government’s opposition to Kinder Morgan, he would blow up his fragile government because his Green Party support would evaporate. If Premier Notley modifies her position, the opposition in the coming Alberta election will have a field day. She probably will not win that election, but the news might not get better for the wine industry. The likely winner will be Jason Kenney, who fully supports taking out the trade dispute on utterly innocent bystanders, the wineries of BC. Very fine BC wines are being reduced to political road kill. The feature wall of wines in the private dining room at Anthony von Mandl’s Martin’s Lane Winery makes an aspirational statement by displaying the world’s best Riesling and Pinot Noir wines. The wines include 18 bottles of Domaine de la Romanée-Conti, from three different vineyards. When Okanagan wineries get to play in that league, Martin’s Lane is certain to be there. The debut releases are that impressive. The stunning six-level gravity-flow winery was designed by Seattle architect Thomas Kundig, with some interior features designed by Barcelona architect Antonio Puig. The winery has been constructed over the last three years just north and slightly uphill from CedarCreek Estate Winery in East Kelowna. Both wineries are owned by Anthony von Mandl, the proprietor of Mission Hill Family Estate. Kundig is one of his favourite architects: he designed the redevelopment of Mission Hill a few decades ago. Shane arrived at Martin’s Lane before harvest in 2014, with the winery in the early stages of construction. Shane spent that first vintage dodging construction workers so that he could make the wine in the building. Shane was born in 1970 in Palmerston North, a New Zealand community with a university where he did his first degree – in statistics. It was not the career he pursued, however. “In the late 1990s, I was living in London and Liverpool, just on an overseas experience, like a lot of New Zealanders do,” he says. He worked at various short-term jobs to fund travel around Europe. He returned to New Zealand and enrolled in a winemaking degree. At the same time, he worked the 2002, 2003 and 2004 vintages at Esk Valley Estate, where he made a crucial connection with Darryl Brooker, now the winemaker and general manager at Mission Hill. Born in Australia, Darryl worked for several leading New Zealand wineries before he started his Canadian career on Ontario. In 2004, on Darryl’s recommendation, Shane spent 10 months at Malivoire Wine Co. in Ontario, covering for a cellermaster who was on leave. He spent seven years with James Millton and Millton Vineyards in Gisborne, on the east coast of the north island. “That role was very dynamic and encompassed a lot of vineyard and cellar work,” Shane says. “It was probably New Zealand’s biodynamic pioneer.” From there, he became head winemaker at Woollaston Estates [now called Mahana], a winery specializing in Pinot Noir. Shane was impressed immediately with the plans and prospects for Martin’s Lane. The winery is designed to produce between 12,000 and 15,000 cases annually, focused just on Riesling and Pinot Noir. He has been given the tools to make ultra-premium wine. He has his own blocks of fruit in several the vineyards owned by Sebastian Farms, the von Mandl vineyard holding company. Shane also has a dedicated viticulturist growing the grapes he gets. The winery is equipped for extremely detail-oriented winemaking. The stainless steel fermenters, literal works of art, are from an Italian producer recommended by Antinori. “They are the Ferraris of wine tanks,” Shane says. He has German wood casks in which a portion of the Riesling is fermented. The Pinot Noir is never racked during the 17 months it spends aging in barrel, with about 25% of the barrels new. The Martin’s Lane wines are all from single vineyards; in the future, some likely will be from single blocks as Shane identifies premium fruit sources. Currently, he draws grapes from the secluded Naramata Ranch Vineyard (at the north end of Naramata Road); from the Simes Vineyard on Lakeshore Road in East Kelowna; and from Fritzi’s Vineyard on Mission Hill Road (named for Anthony’s 101-year-old mother). He has not yet begin releasing individual small lots but says it is conceivable to have a portfolio of 20 or so wines as distinct characters are recognized. Here are notes on the current portfolio. Martin’s Lane Riesling Naramata Ranch 2014 ($65). This is a superbly balanced wine, with the 13 grams of residual sugar offset with 8.2 grams of acidity. The wine is concentrated, with a juicy texture and with aromas and flavours of citrus around a backbone of minerals. 92. Martin’s Lane Riesling Fritzi’s Vineyard 2014 ($75). Ten per cent of this was fermented in 1,250-litre German oak casks. This is a powerful wine with aromas and flavours of citrus and apple supported by minerality. It has a dry finish. 93. Martin’s Lane Riesling Fritzi’s Vineyard 2015 ($75). Twenty-five per cent of this was fermented in the German oak. Reflecting the vintage, this wine is ripe and opulent, once again with aromas and flavours of citrus and apple. The acidity, however, is still racy, lending a freshness to the tangy and persistent finish. 95. Martin’s Lane Riesling Simes Vineyard 2015 ($55). This cool vineyard produced a delicate wine with a subdued personality compared with its partners. It has bright aromas and flavours of citrus with good minerality. 91. Martin’s Lane Pinot Noir Naramata Ranch 2014 ($100). This wine includes three clones – Pommard, 943 and 828. The latter two clones were destemmed before fermentation while 40% of the Pommard went into the tanks with stems. The wine fermented naturally, aged 17 months in French oak, and bottled unfiltered. The wine has aromas of cherry and strawberry. On the palate, there are flavours of cherry mingled with toasted oak and mocha. The finish is silky. This is a pretty wine with seductive appeal. 95. Martin’s Lane Pinot Noir Simes Vineyard 2014 ($100). The clones in this wine are 667 (40% whole bunches) and 943 (destemmed). The wine fermented naturally, aged 17 months in French oak, and bottled unfiltered. Because the vineyard is comparatively cool, the fruit is bright and vibrant, with aromas and flavours of raspberry and cherry. The finish is silky. 94. Martin’s Lane Pinot Noir Fritzi’s Vineyard 2014 ($100). The ambition is to produce Grand Cru quality wine from this small block of clone 115 in the middle of Fritzi’s Vineyard on Mission Hill Road. The wine is the most intense, even muscular, of the trio, with aromas of black cherry leading to flavours of cherry and dark red fruit. The wine fermented naturally, aged 17 months in French oak, and bottled unfiltered. 96. John Skinner, the proprietor of Painted Rock Estate Winery, aims to penetrate key European wine markets, including Bordeaux, with his Okanagan wines. “Christophe Heynen, the founder of Gustoworld, said they know more about wine than anybody,” John says. “It is the centre of it. They are curious. They don’t just want to be drinking their own wine all the time. Not only that – I employ somebody that they know and respect.” The reference is the Alain Sutre, the Bordeaux consultant who has guided Painted Rock since 2006. It would be a feather in John’s cap if he impressed the Bordelaise, among the most knowledgeable tasters in the wine world. He began showing Painted Rock wines in London four years ago – and he continues to do so. Last year, he hosted a Painted Rock tasting for about 100 members of 67 Pall Mall, which claims to be the world’s most exclusive wine club. London, with its top-flight critics, collectors and masters of wine, is arguably the most sophisticated wine market in the world. Canadian producers have hosted tastings there since at least the 1960s, formerly to the embarrassment of Canadian wines. The biggest fiasco was the failed attempt to launch Baby Duck in Britain. But that was yesteryear, before the sea change in the quality of Canadian wine. It is safe to say that Canadian wines this time will get a far better reception. “I like a challenge,” says John, now the leader of a group of six Okanagan wineries beginning to explore London and other European markets. 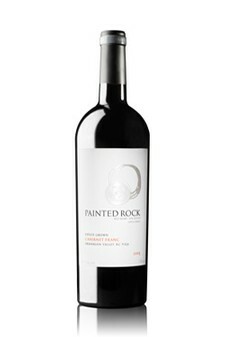 Painted Rock’s wines have been impressive since the first vintage in 2007 from the winery’s Skaha Bench vineyard. And they have been getting steadily better as the maturing vines have put roots through the topsoil and the alluvial silt layers of varying thickness deep into underlying gravels. The majority of the 52,500 vines in the 25-acre vineyard were planted in 2005. The flavours have become more intense and complex with each vintage. The thickest layer of alluvial silt was in the Chardonnay block. 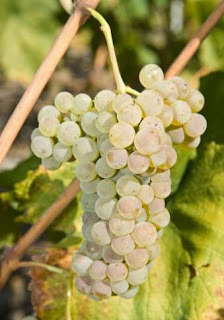 In the fall of 2016, when John and Alain were tasting the fruit before harvest, the consultant noted a significant step up in the complexity of the flavours of Chardonnay. A trench was dug beside the vines and confirmed that the roots were now 10 feet down into the gravel. That led to a significant change in how the Chardonnay was processed that vintage. In earlier vintages, the harvest had been spaced out over three pickings in order to build more complex flavours from grapes at three stages of ripeness. In 2016, the harvest was compressed because the flavour profiles were more vivid. As well, the wine had enough substance now that 60% went through malolactic fermentation, compared with 10% in previous years. A corollary benefit of vine age is that Painted Rock now is releasing more single varietal red wines. Individual varietals now have enough flavour that the wines need not be tweaked with a dash of another variety or two. In 2015, for example, there was enough Malbec left over after making blends that a small lot was produced just for the Painted Rock wine club. Perhaps not every Okanagan or Similkameen vineyard has as much vine research, but it is certain that many of the vines now have roots deep into what one might call the flavour zone. There is no doubt in my mind that wines from Painted Rock and other Okanagan producers will more than more than hold their own in Europe. As I was working through the Painted Rock wines, a house guest arrived with a bottle of Château Mouton Rothschild 2007. One of Bordeaux’s best wines, this vintage is a blend of 81% Cabernet Sauvignon and 19% Merlot. The average price per bottle, according to internet sources, is about $700. Robert Parker scored it 92 points. It is a wine great elegance and refinement. But is it better than Red Icon? That is a matter of taste. It is not fair to compare a mature Bordeaux with an adolescent from the Okanagan, to say nothing of the dramatic differences in terroir and winemaking style. But Red Icon belongs on the same table. Painted Rock Chardonnay 2016 ($30.49 for 488 cases; sold out). I first tasted this wine shortly after it was bottled in late May, 2017, scoring it 90+. A second bottle tasted nine months later scored 95, a dramatic illustration of how moderate bottle aging benefits a well-made Chardonnay. The complex, layered flavours of this wine were crafted by spreading out the harvest somewhat. More layers were built by aging 80% in French oak (55% new) and 20% in stainless steel. Sixty percent of the wine went through malolactic fermentation. The winery explains: “This process enabled us to embrace the beautiful bright acidity while building mouthfeel, complexity and aromatics.” The result is a delicious and refreshing wine with aromas and flavours of citrus, apple and peach. It dances brightly on the palate, the complete antithesis of those over-oaked, mouth-tiring wines that turned consumers against Chardonnay. 95. Painted Rock Merlot 2014 ($34.99 for 1,356 cases). This is a bold (15.2% alcohol), richly flavoured and concentrated Merlot. It was aged 18 months in French oak (30% new). It begins with aromas of spicy red fruit, leading to flavours of black cherry, blueberry, mocha and vanilla. 92. Painted Rock Malbec 2015 ($NA for 140 cases). This wine was released just to Painted Rock’s wine club. Again, the alcohol is 15.2% but the wine has the substance and ripe fruit flavours to carry it. It begins with powerful and appealing aromas of violets, cherries and plums, leading to flavours of black cherry, blackberry and plum. The finish goes on and on. 92. Painted Rock Cabernet Franc 2015 ($44.99 for 400 cases). This is a wine remarkable for its power (15.3% alcohol) and intensity of flavour. Aromas of cassis, blackberry and cherry bound from the glass, followed by a rich medley of red fruit on the palate, including cherry, blackberry and raspberry. The hint of mocha on the finish supports a lush texture. 93. Painted Rock Cabernet Sauvignon 2015 ($39.99 for 328 cases; sold out). The wine, which was aged 18 months in French oak (30% new), begins with savoury aromas of cassis, blackberry and mint. On the palate, there are flavours of black currant, black cherry, fig, tobacco, leather, dark coffee, spice and vanilla. Concentrated in texture, the wine should be decanted before being served. 93. Painted Rock Syrah Cabernet Sauvignon 2015 ($34.99 for 146 cases). A wine club only release, this is 80% Syrah and 20% Cabernet Sauvignon, aged 18 months in French oak (30% new). The wine is made with grapes from 2009 infill plantings in the Syrah and Cabernet blocks in the vineyard, with each varietal fermented and aged separately from the older plantings. The wine begins with aromas of pepper, black currant and cedar, leading to flavours of plum, black cherry and vanilla. The soft, ripe tannins give the wine a svelte, polished texture. 92. Painted Rock Syrah 2015 ($39.99). This wine delivers terrific fruit aromas and flavours – black cherry, blackberry and fig, with notes of leather, vanilla and pepper. The wine was aged 18 months in barrel (30% new), of which 80% was French oak and 20% American oak. 92. Painted Rock Red Icon 2015 ($54.99 for 1,487 cases). This blend is 45% Merlot, 24% Cabernet Franc, 11% Malbec, 11% Petit Verdot and 9% Cabernet Sauvignon. This wine begins with aromas of black cherry, cassis and vanilla which are echoed in the flavours. The texture is rich and concentrated, backed by long ripe tannins. On the finish, mocha and coffee mingle with spicy dark fruit. Decanting helps open up the aromas and flavours. It would be preferable to let it blossom in bottle for five or 10 years before opening it. 94.